Welcome to the book page! Below are a few of my favorite books about hydrogen peroxide. Then there's a selection of other books from Amazon -- these are selected by Amazon as popular books. Oxygen Healing Therapies by Nathaniel Altman has been my favorite book about the medical uses of hydrogen pexoide for a really long time. 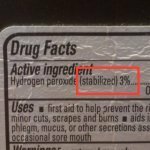 It's actually about the use of both hydrogen peroxide and ozone as health and healing agents. What I like is the clarity of the book. I found it easy to really comprehend in a way that other books on this topic have not struck me. This is a terrific book about the uses of hydrogen peroxide in the home and garden. I believe the earliest edition of this book was an e-book (I still have a copy of it). I think you'll find the approach in this book is very similar to the approach of this website: how to use hydrogen peroxide in practical applications around the home. Covers sanitation, cleaning, personal hygiene, and use in pools and spas. Below are a few of the many other books that have been published about the use of hydrogen peroxide. Some are about household applications, and many are about health and healing applications. To see a greater selection of books, press the "GO" button next to the search bar (right below this).